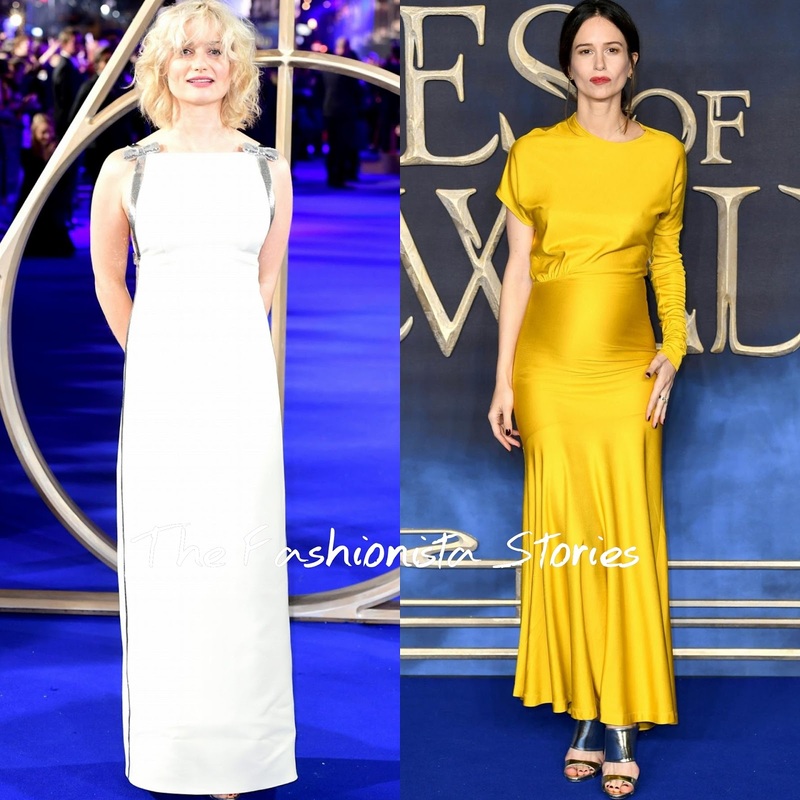 Alison Sudol and Katherine Waterston posed on the blue carpet yesterday evening(November 13th) for the premiere of 'Fantastic Beasts: The Crimes of Grindelwald' at Cineworld Leicester Square in London. Alison Sudol wore a MIU MIU white column dress, featuring contrasting silver sequin trimming & bows, a cutout back and back split. The dress is nothing interesting and without the sequin trimming, this would be a snooze. Medium curls and a rosy lip finished p her look. Katherine Waterston showed off her growing baby bump wearing a yellow CALVIN KLEIN silk one long sleeve & short sleeve ankle length dress which she teamed with silver metallic GIUSEPPE ZANOTTI sandals-mules. A red lip and center part ponytail finished up her look.